Going to the Khanya Lab is favourite weekly highlight for ALL our learners! 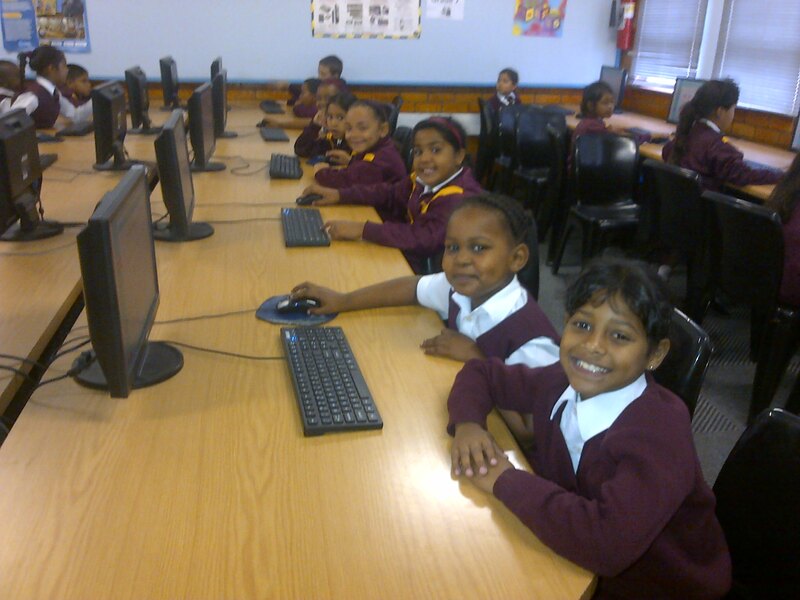 The Khanya Lab is a computer laboratory for the learners of the school. The laboratory houses 20 computers with 2 learners per computer. The CAMI EDU-SUITE 2014 is installed on each pc which contains 4 unique user friendly programs that are CAPS compliant and great fun! CAMI MATHS is a Mathematics program for Grades R to 12 with colourful diagrams & explanations. CAMI READER has both English & Afrikaans lessons with music, interactive games & reading techniques for all age groups. CAMI PERCEPTUAL is for Foundation Phase children and below to help them with shapes, puzzles & co-ordination. This works as a learning aid, to better understanding of computer peripherals. CAMI LITERACY is another program aimed to further develop English language. All our students from grade R to 7 have access to these amazing learning programmes as a part of their weekly timetables.